Shortly after Cisco's released its early report on a large-scale hacking campaign that infected over half a million routers and network storage devices worldwide, the United States government announced the takedown of a key internet domain used for the attack. Yesterday we reported about a piece of highly sophisticated IoT botnet malware that infected over 500,000 devices in 54 countries and likely been designed by Russia-baked state-sponsored group in a possible effort to cause havoc in Ukraine, according to an early report published by Cisco's Talos cyber intelligence unit on Wednesday. 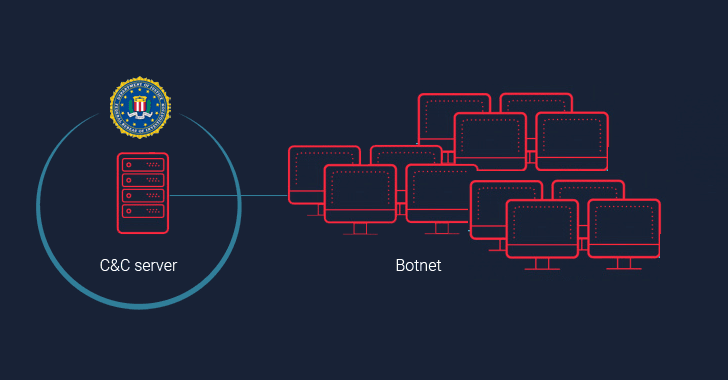 "This operation is the first step in the disruption of a botnet that provides the Sofacy actors with an array of capabilities that could be used for a variety of malicious purposes, including intelligence gathering, theft of valuable information, destructive or disruptive attacks, and the misattribution of such activities," John Demers, the Assistant Attorney General for National Security, said in a statement. The seizure of the domain that is part of VPNFilter's command-and-control infrastructure allows the FBI to redirect attempts by stage one of the malware (in an attempt to reinfect the device) to an FBI-controlled server, which will capture the IP address of infected devices and pass on to authorities around the globe who can remove the malware. "Although devices will remain vulnerable to reinfection with the second stage malware while connected to the Internet, these efforts maximize opportunities to identify and remediate the infection worldwide in the time available before Sofacy actors learn of the vulnerability in their command-and-control infrastructure," the DoJ said. If your router is by default vulnerable and can't be updated, it is time you buy a new one. You need to be more vigilant about the security of your smart IoT devices.